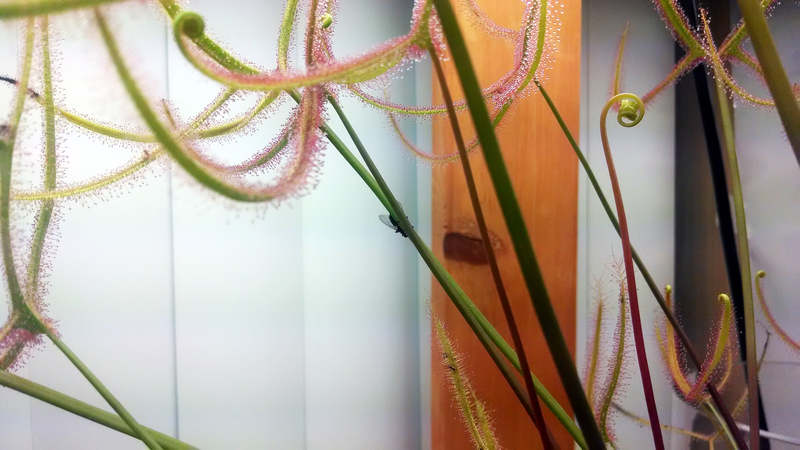 The Housefly and the Dragon |Sundews Etc. 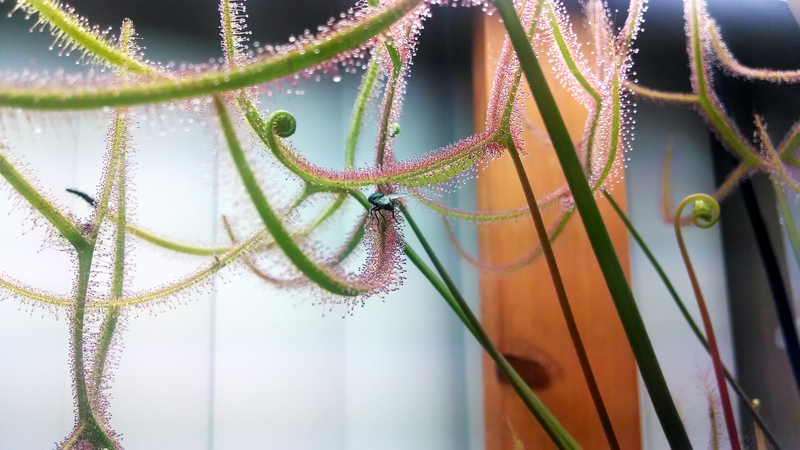 As I've mentioned before, my Drosera binata complex plants are far and away the most efficient flycatchers. 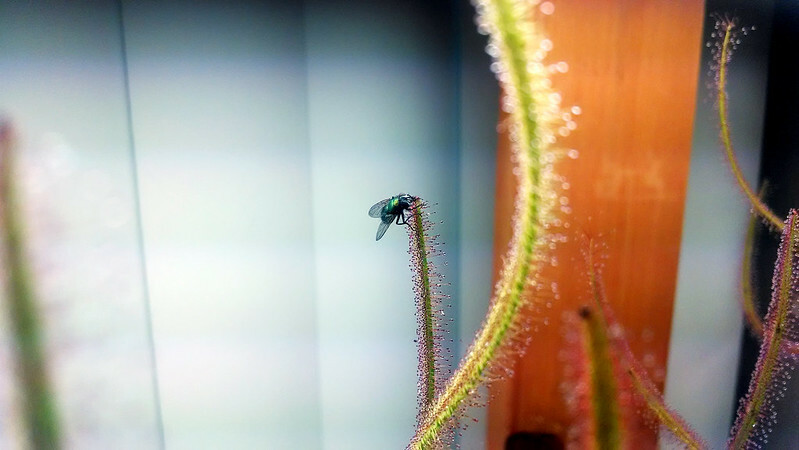 Yesterday, as I was sitting at the table that houses one of my trays (I was harvesting some Drosera aliciae seed), I witnessed a drama unfold. Sorry about the color/light balance in these photos. The light was weird and in my hands Photoshop is but a blunt tool. A big fat housefly, attracted by the lights, had been buzzing around the tray, and made the mistake of landing on the D. 'Marston Dragon', among the most menacing of all sundews. I watched, entranced, as it first tried to buzz away, and then began laboriously traversing the laminae, seeking escape. It seemed like safety at the time. Eventually the fly reached the tip of a leaf, and paused a bit, trying to clean the mucilage away, and presumably also resting after what looked like an exhausting walk – one that started right over as it headed back down the lamina, in search of a more genuinely safe position. I'll admit: I was disappointed that it reached the petiole. Finally, after navigating the maze of leaves, the fly found its way to (relative) safety on the petiole, free from dew and enzymes. I had to leave for work around this time, but I know it escaped, in part because there were no new carcasses on the plant this morning, and in part because I just saw the same fly buzzing around the tray again, tempting fate. Incidentally, I now have D. aliciae seed available for trade.